Free high resolution photo of snow coated winter tree branches. 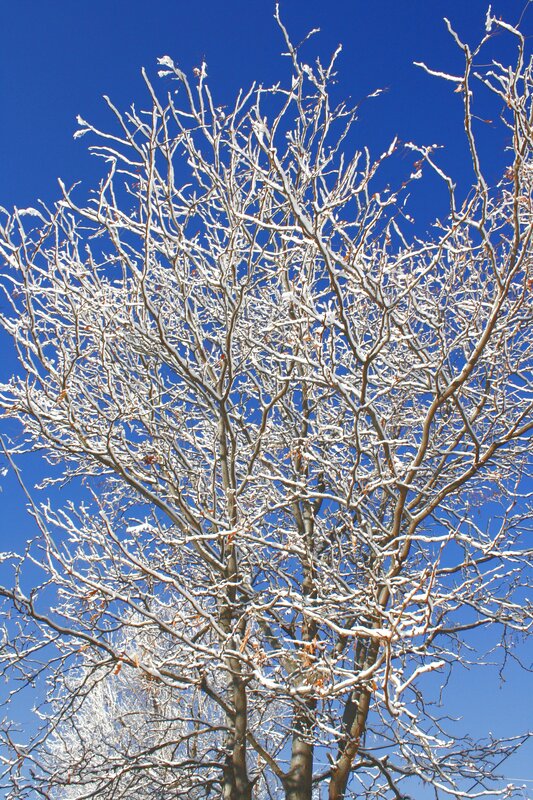 This photo shows a leafless winter tree with each of its bare branches covered with sticky snow and ice. In the background is a beautiful blue sky. Free picture for any use.